Everyone is on the keto diet bandwagon, or so it seems! Unfortunately, if you are getting pretty tired of chicken breast and eggs, then you are in for a real treat. 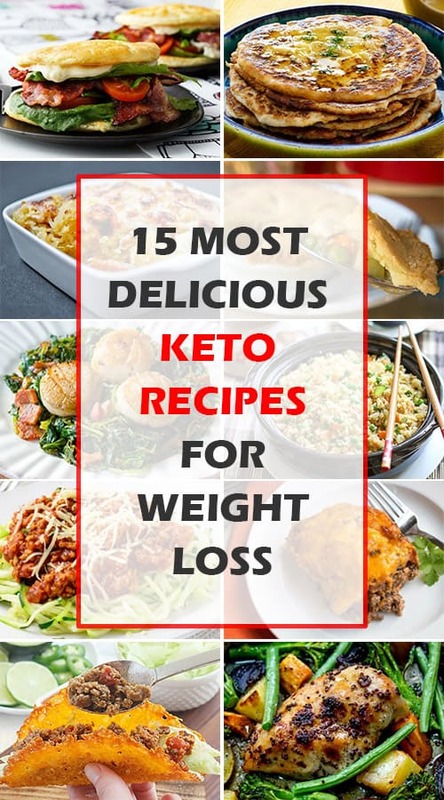 We have worked day and night (well, maybe not ALL day and night) to seek out some of the most delicious, and deliciously different, keto recipes of all time. We will admit that some of the ingredients are the same, but these out of this world way of making them will have you headed straight to the kitchen to make them again and again. Enough talking! Let’s get busy cooking crazy-good keto meals! 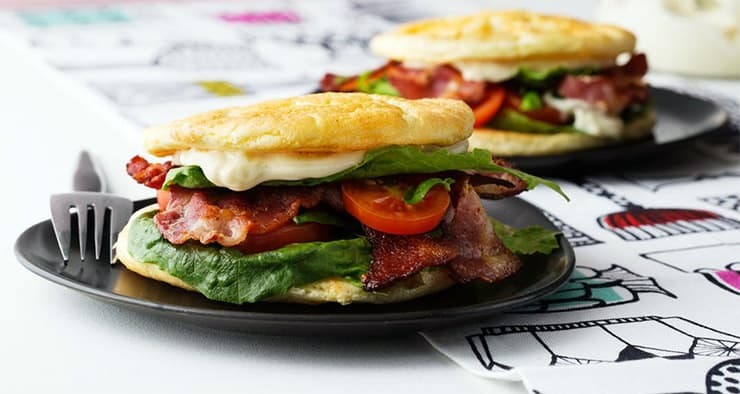 Bacon, Lettuce, and tomato sandwiches are one of the small pleasures of summer. But what to do when you are on the keto diet and bread is pretty much a no-no? You make “almost bread”, which is a very soft type of bread that doesn’t come from flour. You are going to love this one! This recipe makes 4 sandwiches and each sandwich is only 4 grams of net carbs. Put the bacon, lettuce, and tomato on one half and cover with another slice of bread to make a BLT. This isn’t a meal per se, but if you are missing bread with your meals, this might just be what you are looking for. This actually tastes better than most commercially made flat breads! 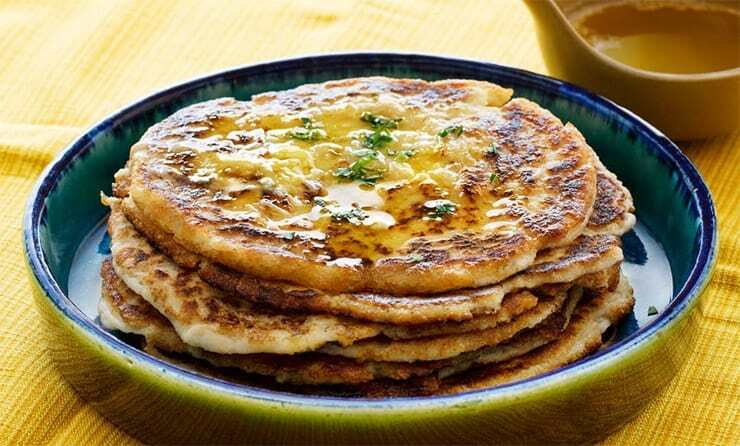 This recipe makes 8 pieces of bread and each piece is only 1 net gram of carbs! Just one It’s almost unbelievable! 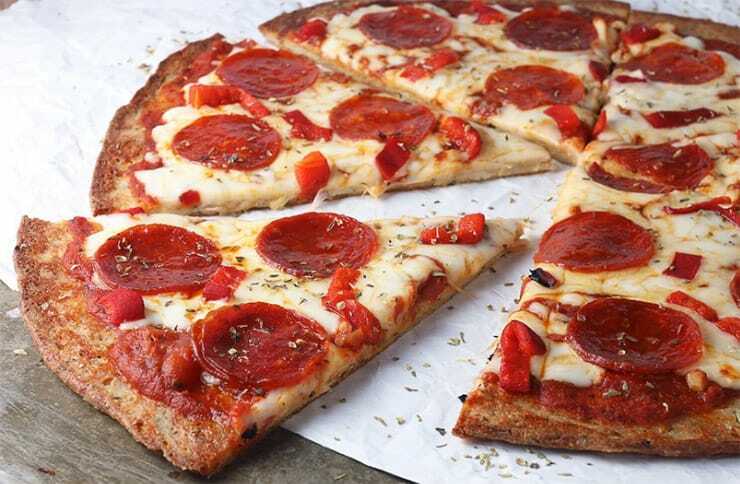 Ever wish that you could just order some pizza for lunch? Pizza has got to be one of the best tasting lunches ever, but when you are watching your weight (and your carbs) pizza is usually a no-go. This pizza recipe, however, will forever change your lunch routine. Ready in about 30 minutes, you can make this the night before or even get it ready in the morning so it’s super fresh. Each serving has only 5 grams of carbs! This pizza recipe makes 8 servings so you should be able to put two pieces in each meal prep container, along with a nice little salad. Don’t be afraid to add plenty of veggies! The recipe is gluten free and nut free. Knead the dough with your hands. If it is too sticky, put a small amount of oil on your hands. If it becomes hard before it is well mixed, put it back in the microwave for 10 or 15 seconds to make it soft again. Remove from oven and top with pizza sauce, more mozzarella cheese, pepperoni, sausage, veggies, anything you happen to like on your pizza. 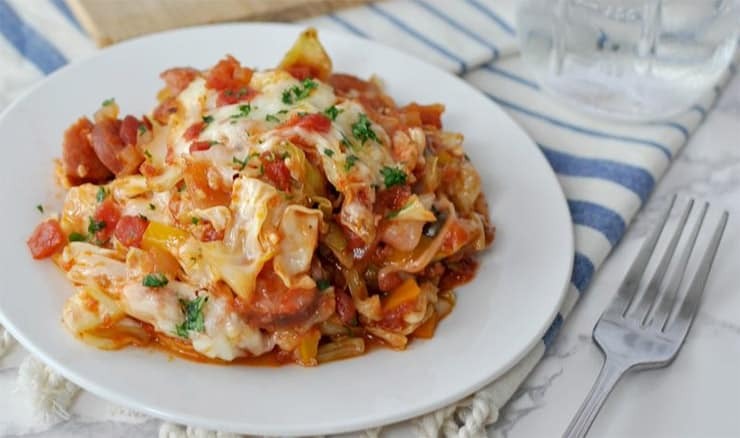 We simply can’t get enough of Italian food, but the pasta usually makes most Italian favorites out of reach for low carb lovers. 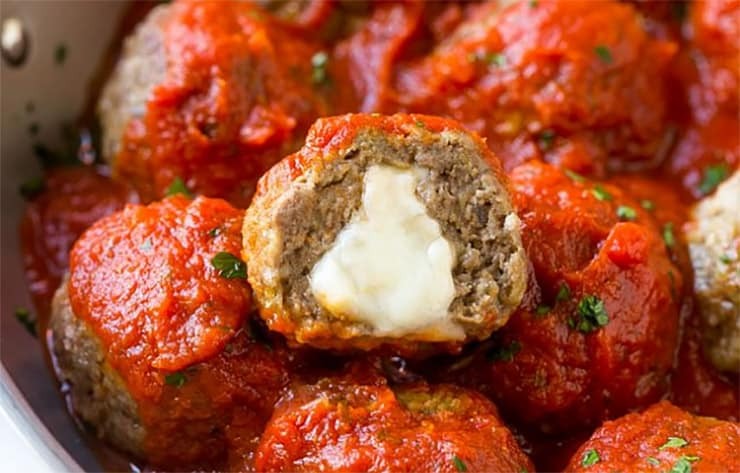 These scrumptious meatballs are not only super low carb and delish all on their own, but we love how you could also serve them over zucchini noodles or cauliflower rice. 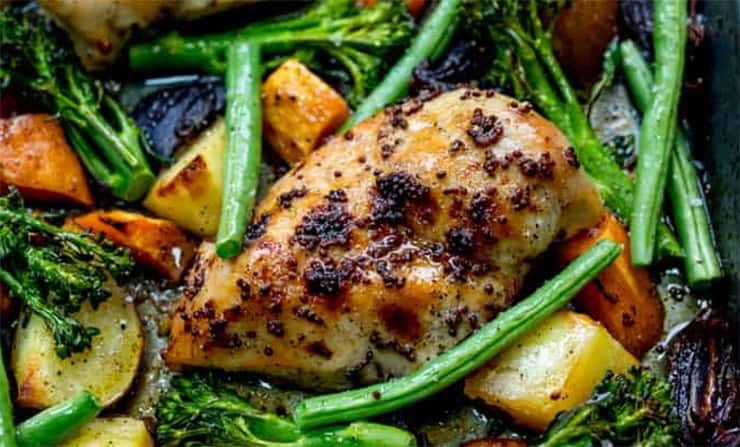 This recipe serves six so after meal prep, you will be able to share some with your SO or enjoy them for dinner as well. Roll about 2 tablespoons worth of the meat into a ball. Press one cube of cheese in the middle and then cover with meat. Be sure the cheese is completely covered or it will leak out. Do you feel left out on Taco Tuesdays? Well, not anymore! We have a low carb taco that uses a cheese shell, rather than corn or flour tortillas! You just need to set up a “taco shell station” that will form your taco shell. To do this, simply put two glasses a few inches apart, and then place a large cooking spoon on the top. You will melt the cheese, and then drape the cheese over the spoon. Once it cools, you have a cheese shell for your taco. 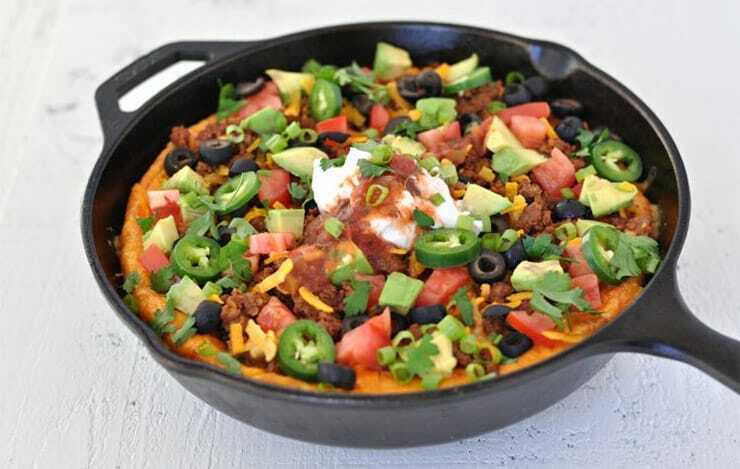 This recipe serves 8 and each taco is only 3 net grams of carbs. Taco Tuesday here we come! Your favorite toppings such as sour cream, lettuce, onions, avocado, etc. 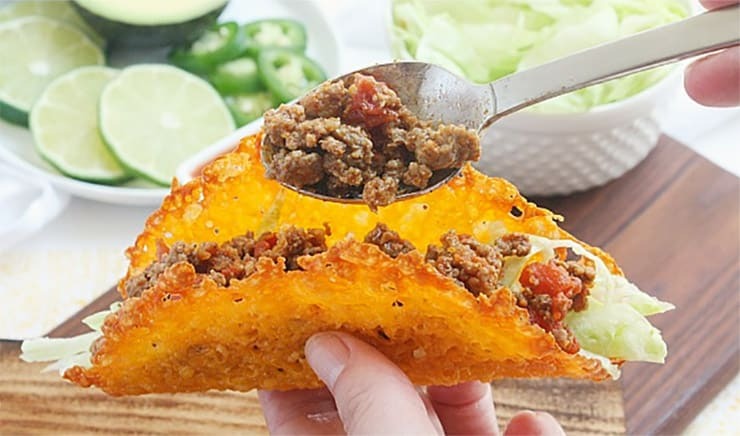 Add the meat mixture to your cheesy taco shells and fill with your favorite toppings! One of the things everyone loves about a casserole is how easy they are. Most of them use only one or two dishes, most are one dish meals, and they cook while you are busy doing other things. This cheesy casserole will become a staple at your house. Who doesn’t love bacon cheeseburgers? Better still? It’s ready from start to finish in one hour! This recipe uses a 9 X 13 baking pan and serves 12. Each serving has 4 net grams of carbs, so you can probably feel good about going back for seconds! 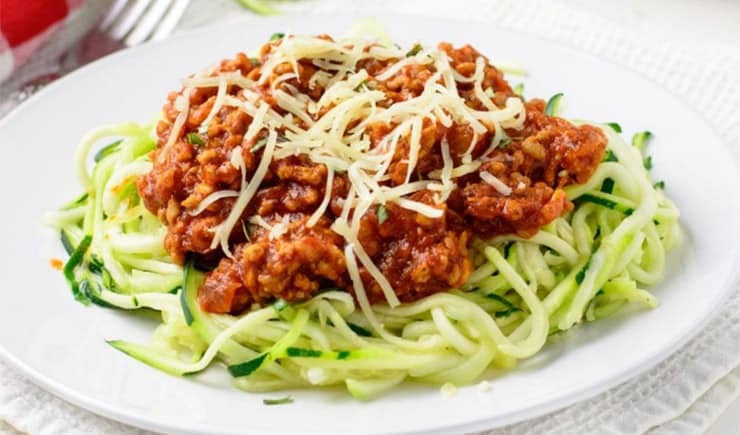 This recipe serves 6 and one serving (which is about 1 zucchini and 1.5 cups of sauce) will set you back only 17.6 net grams of carbs! You might want to make a double or even triple batch of this sauce since it works so well with just about anything Italian. We don’t know anyone who doesn’t love Chinese food, but sometimes all the sauces and breaded meats is too much for the keto lover in the house. We have found a wonderful alternative that tastes exactly like your favorite Chinese take-out restaurant. 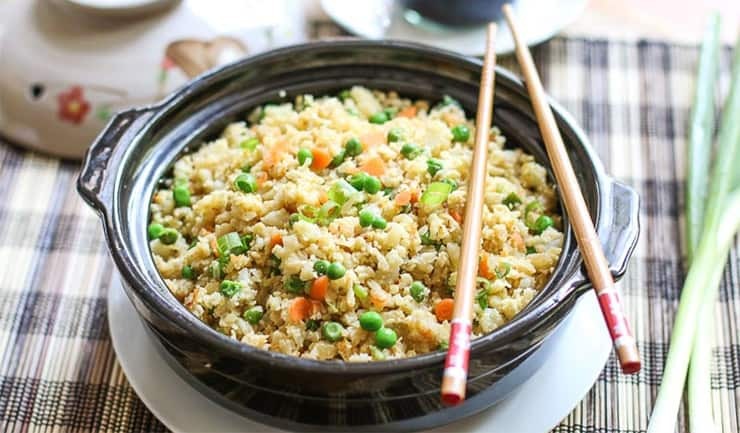 You can use a food processor to make the rice out of a nice head of cauliflower, but if that’s even too much for you, then buy bags of frozen cauliflower “rice” from your supermarket. This recipe serves 4. Each serving (which is about 1.25 cups) is only 10 grams of net carbs. This is a true seafood lover’s delight. Perfect for lunch or dinner, sweet scallops seem to be a perfect match for the slightly spicy chorizo. 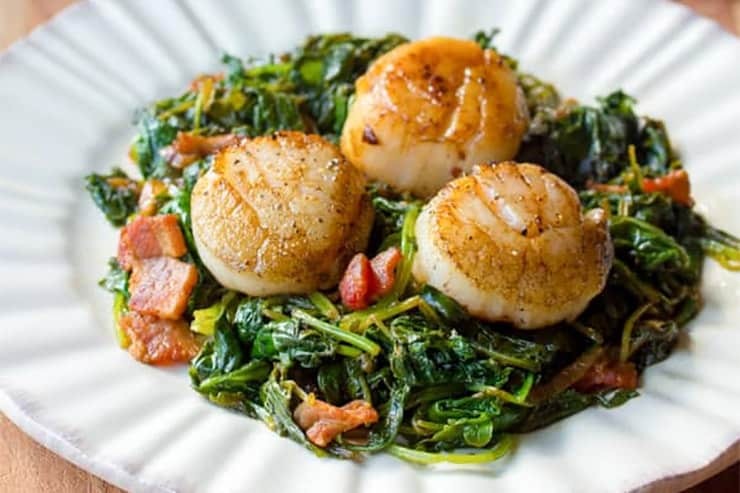 You can use fresh or frozen scallops for this recipe, which serves 5. Each serving is a tiny 7.5 grams of net carbs, so you can feel good about having another serving! In a frying pan, put one tablespoon of coconut oil, then cook the chorizo for about 3 to 5 minutes or until slightly crispy. Don’t turn off the flame! Return the scallops and chorizo to the pan and cook for another minute. Transfer to a plate or bowl; do not leave this mix sitting in the pan. In a separate pan, add two tablespoons of coconut oil and cook the garlic for just about 1 minute. 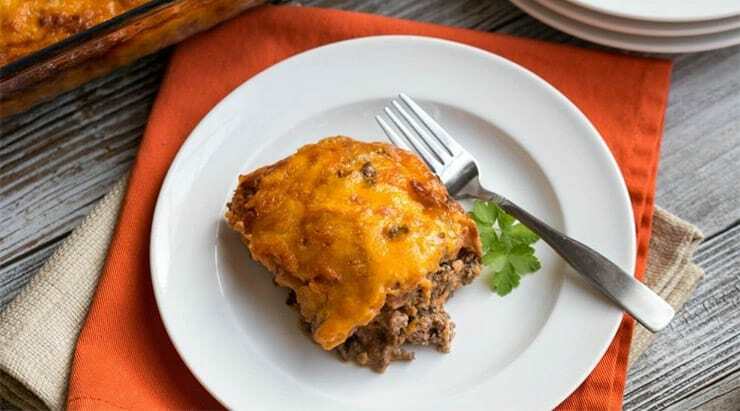 This is an all time favorite meal and one you most likely thought you had to cut out of your keto diet. This is where you are wrong, however! 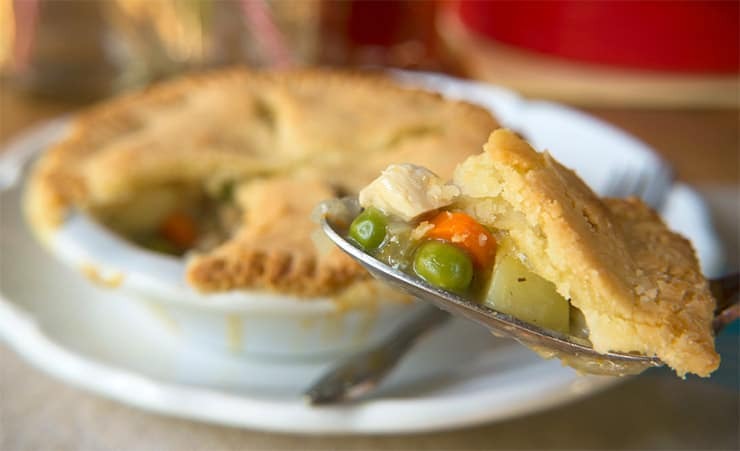 This recipe serves 4 and each delicious little pot pie is a mere 11 grams of net carbs! Who knew? We love casseroles almost as much as we love our Instant Pots. (By the way, if you don’t have an Instant Pot yet, this one is the bomb!) This recipe takes less than an hour from start to finish. You can feed 8 people with this recipe and each serving is only 8 net grams of carbs. Maybe you should only invite 4 people so you can have seconds! With just two ingredients, this tasty dinner will prove that sweet and savory go together like hand and glove. Add a salad and a vegetable and this will become a weeknight staple. This recipe serves 4 and each chicken breast is only 1 gram of carbs. What more could you ask for? Bake for 20-25 minutes or until chicken is completely cooked. This recipe is for all the potato lovers out there who miss their scalloped potato casseroles or au gratin potatoes. 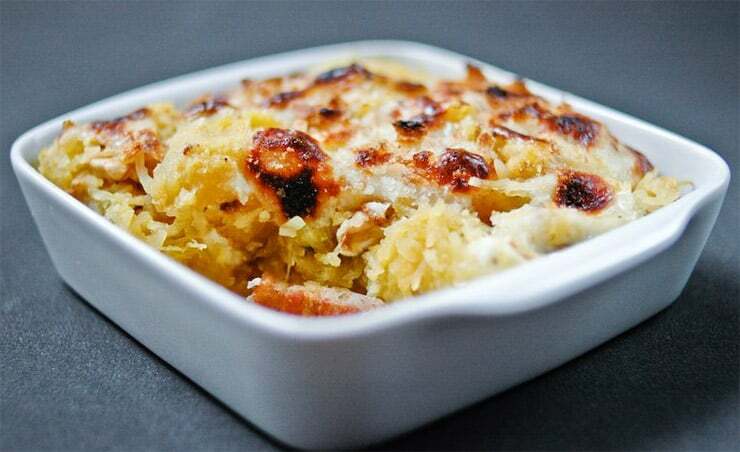 Spaghetti squash is a very close second when it comes to tasting like potatoes. Add a bit of bacon and this becomes more than a side dish, but a full fledged keto friendly meal. This easy to make recipe serves 10, with each serving setting you back only 8 grams of net carbs. Make enough to take to lunch the next day because you will really want to! While squash is cooking, heat the butter, garlic, and onions over a medium flame until the onions are lightly caramelized. Reduce oven temperature to 350 degrees and bake another 20 minutes. We like to call this one the duo because you can actually make it for breakfast or dinner! One pot means next to no clean up and it’s ready in about an hour! Now you no longer have to worry about what to make for Taco Tuesday! This recipe serves 6, with each serving having a skinny 9 net grams of carbs. Did someone say cheesy chicken dinner? Doesn’t that sound too good to be true? Not with this recipe! This has healthy olives, feta cheese, and a yummy pesto sauce, along with only 7 net grams of carbs per serving. This recipe serves 4, so you might want to double it and save some for lunch!